WHY IS IT SO HARD TO TEST DRIVERS THAT ARE STONED? The psychoactive ingredient in marijuana is a fat-soluble compound called THC. And that changes everything. "It's really difficult to document drugged driving in a relevant way," says Margaret Haney, a neurobiologist at Columbia University, "[because of] the simple fact that THC is fat soluble. That makes it absorbed in a very different way and much more difficult to relate behavior to, say, [blood] levels of THC or develop a breathalyzer." When you drink, alcohol spreads through your saliva and breath. It evenly saturates your lungs and blood. Measuring the volume of alcohol in one part of your body can predictably tell you how much is in any other part of your body — like how much is affecting your brain at any given time. That made it possible to do the science on alcohol and crash risk back in the mid-20th century. Eventually, decades of study helped formulate the 0.08 blood alcohol limit as too drunk to drive safely. "The 0.08 standard in alcohol is from decades of careful epidemiological research," says Andrea Roth, a professor of law at the University of California, Berkeley. But marijuana isn't like that. The height of your intoxication isn't at the moment when blood THC levels peak, and the high doesn't rise and fall uniformly based on how much THC leaves and enters your bodily fluids, says Marilyn Huestis, who headed the chemistry and drug metabolism section at the National Institute on Drug Abuse. Because THC is fat soluble, it moves readily from water environments, like blood, to fatty environments. Fatty tissues act like sponges for the THC, Huestis says. "And the brain is a very fatty tissue. It's been proven you can still measure THC in the brain even if it's no longer measurable in the blood." 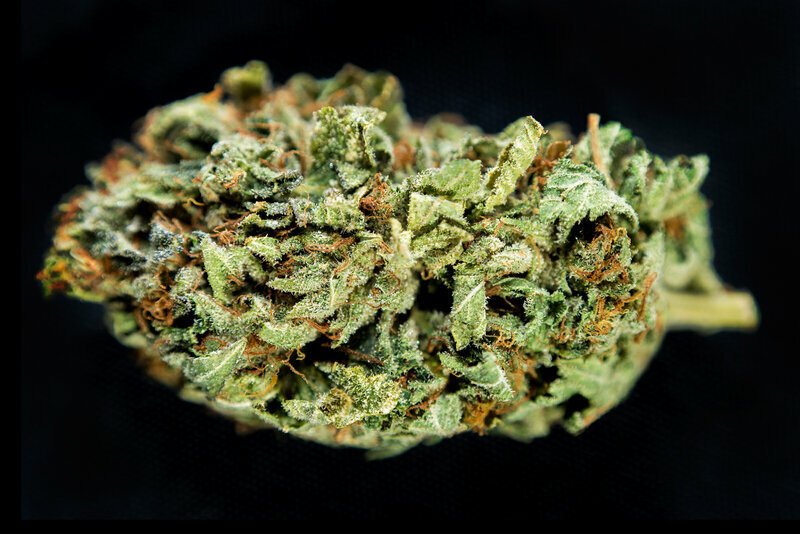 From her research, Huestis found that THC rapidly clears out of the blood in occasional users within a couple of hours. While they're still high, a trickle of THC leaches out of their brains and other fatty tissues back into the blood until it's all gone. That means a lab test would only find a trace amount of THC in the blood of occasional smokers after a few hours. "You could have smoked a good amount, just waited two hours, still be pretty intoxicated and yet pass the drug test [for driving]," says Haney. And if you eat the weed instead of smoking it, Haney says, your blood never carries that much THC. "With oral THC, it takes several hours for [blood THC] to peak, but it remains very low compared to the smoked route, even though they're very high. It's a hundredfold difference," she says. But daily users are different. Huestis says that heavy smokers build up so much THC in their body fat that it could continue leaching out for weeks after they last smoked. These chronic, frequent users will also experience a rapid loss of THC from their blood after smoking, but they will also have a constant, moderate level of blood THC even when they're not high, Huestis says. It gets trickier when you try to factor in the chronic effect of smoking weed, Huestis says. "We found [chronic, frequent smokers'] brains had changed and reduced the density of cannabinoid receptors," she says. They were cognitively impaired for up to 28 days after their last use, and their driving might also still be impaired for that long. "It's pretty scary," she says. The attitude difference between stoned drivers and alcohol drivers seems clear, Huestis says. Pot smokers, she says, "tend to be more aware they're impaired than alcohol users." Drunk drivers are more aggressive, and high drivers are slower. But in her studies, she found that being blazed enough, as when a smoker's blood THC level peaks at 13 nanograms per milliliter, could be just as a dangerous as driving drunk. The marijuana advocacy group NORML emphasizes that driving high can be dangerous, and advises people to drive sober. The instinct, Huestis says, is to come up with a law that parallels the 0.08 BAC standard for alcohol. "Everyone is looking for one number," she says. "And it's almost impossible to come up with one number. Occasional users can be very impaired at one microgram per liter, and chronic, frequent smokers will be over one microgram per liter maybe for weeks." In states like Washington, if a driver is found to have over 5 nanograms of THC per milliliter in their blood, they automatically get a DUI-cannabis. "If we are going to criminalize DUI marijuana, we need to take information from scientific studies and use it to decide if that risk is sufficiently high to be so morally blameworthy that we call it a crime. But we don't, so picking 5 nanograms per milliliter is arbitrary," Roth says. "Blood isn't taken in the U.S. until 1.5 to four hours after the [traffic] incident," Huestis says. By then, THC levels would have fallen significantly, and these people might have been impaired but passed the test. At the same time, a heavy user living in a state like Washington would get a DUI even if she or he hadn't smoked in weeks. As a result, it gets difficult to even understand how risky blazed driving is. Traffic studies that rely on blood THC measures could also be inaccurate if blood is drawn too late and THC has already left the system. And some state traffic databases, including Colorado's, according to state traffic officials, link accidents to 11-nor-9-carboxy-THC, a byproduct of marijuana metabolism that marks only recent exposure and not intoxication. That might result in an overestimation of marijuana-related accidents. In the meantime, Haney says, the challenge shouldn't deter people from trying to find a marijuana DUI solution. People are working on breath tests, saliva, other blood markers and behavioral tests, just nothing that so far has stuck, she says. "We need something, because it's an important public health issue. But how we're going to get there? I just don't know."